Here is a selection of books that caught our attention in recent months. Thinking in Pictures. An Experiment on Our Perception of Images (Applaus Verlag, CHF42) is a playful investigation into the language associated with imagery. Editors Pierre Thomé and Lynn Kost ask the question: ‘How do scientists read drawings and how are their interpretations different from those of cultural players?’ A variety of scientists share their reactions to artists’ subjective works, from a surgeon sensing vulnerability in illustrated characters, to a sociologist’s search for the meaning of lines. 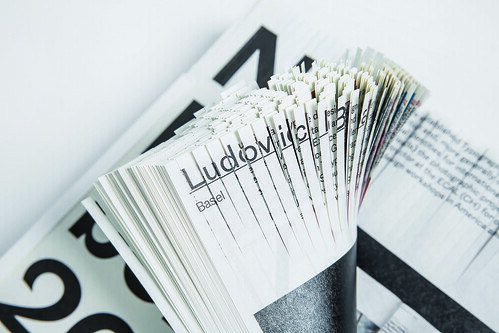 In both English and German, the book provides detailed insights into the process of visual reception. 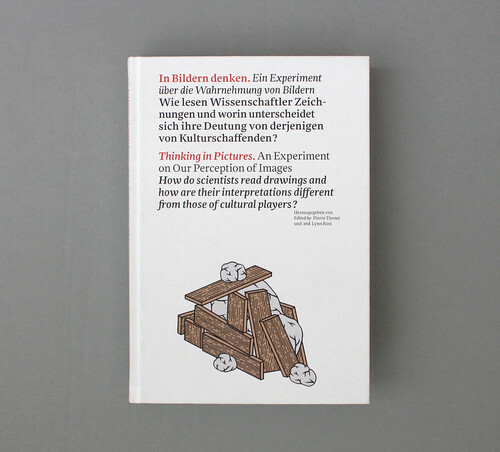 Cover of Thinking in Pictures, edited by Pierre Thomé and Lynn Kost. 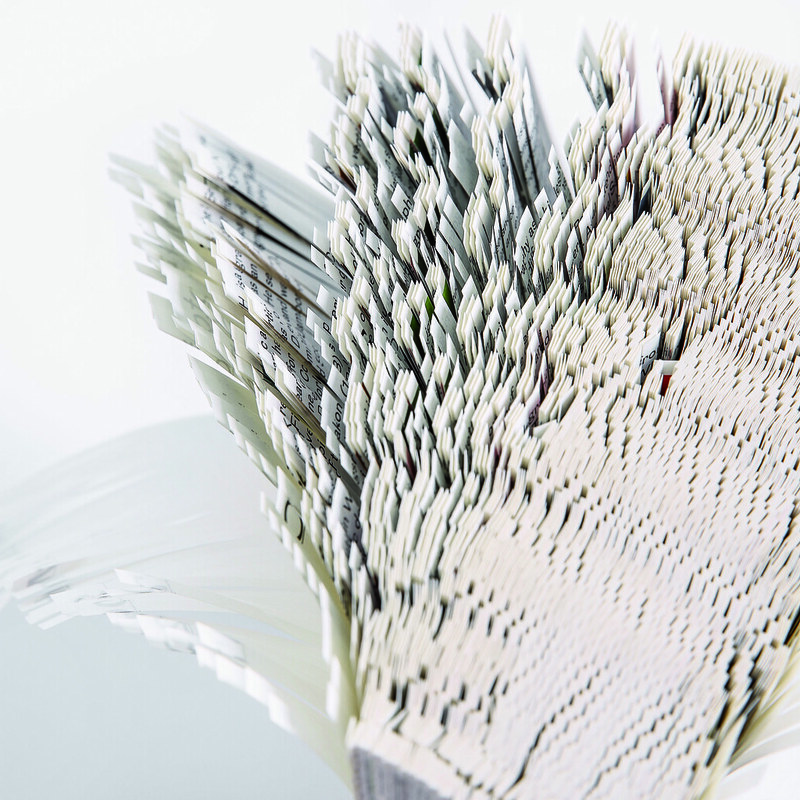 Top: Detail of shredded fore-edge of AGI New Members 2007-2017 (€79) designed by Jianping He. 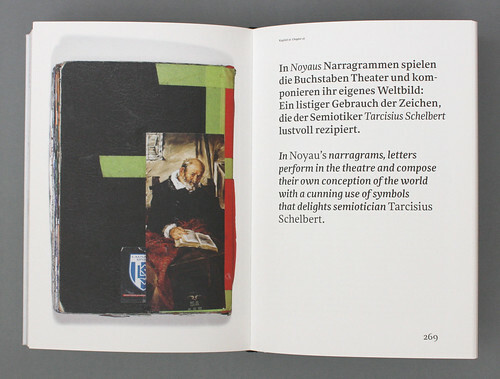 Spread from Thinking in Pictures, showing a narragam by Noyau. Spread from Thinking in Pictures, showing illustrations by Yves Netzhammer of which Johannes Binotto reflects on to talk about blind spots and subjective interpretations. 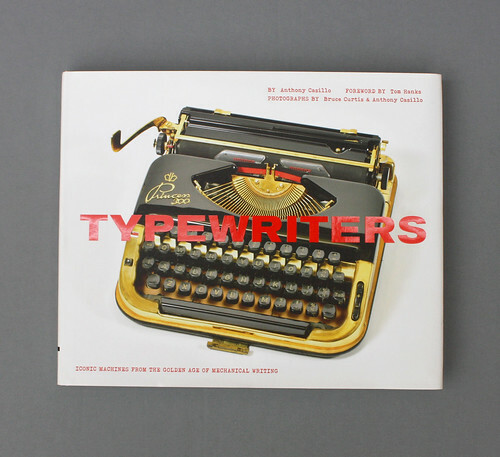 Antony Casillo’s Typewriters (Chronicle Books, £30) documents the history and evolution of the typewriter. 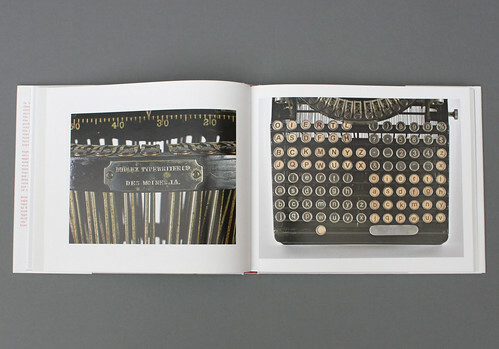 Eighty writing machines are strikingly shot, accompanied by Casillo’s informative text on their individual history, invention and intricate design details. An in-depth glossary of typewriter terms is included at the back of the book. There is also a witty foreword with ‘eleven reasons to use a typewriter’ by actor and typewriter enthusiast, Tom Hanks. documenting the Duplex typewriter from 1892. Bursting with vibrant illustrations, The Golden Thread Project UK-USA (Bugboar Press, £20) is a celebration of well travelled folksong. The project, instigated by illustrators Aidan Saunders and Geoff Coupland, revisits the music collected by Cecil Sharp and Maud Karpeles, who took their songs to the US in the late 1910s. These folksongs have subsequently become part of American music. Saunders and Coupland asked artists to interpret these different songs through drawing. The book forms a collection of these individual responses, each unique in narrative, mood and graphic style. 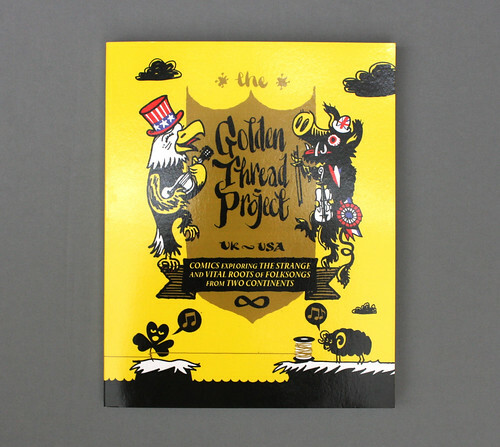 Cover of The Golden Thread Project UK-USA. Spread from The Golden Thread Project UK-USA, highlighting illustrations by Daryl Rainbow in response to the song ‘Gallows Pole’. 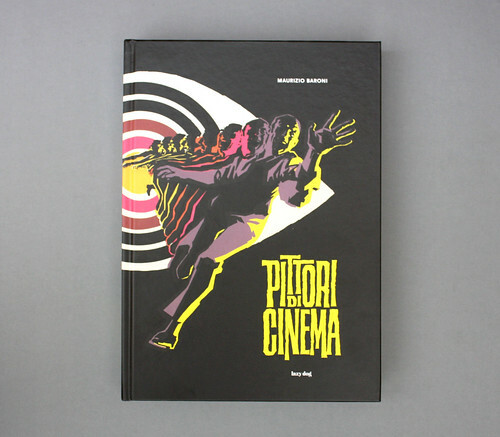 Pittori Di Cinema (Lazydog, £89) is a dense, hardback collection of artworks created as advertisements for the Italian film industry. The weighty book, designed by Bunker, features more than 500 works from 29 Italian painters, selected by author Maurizio Baroni. 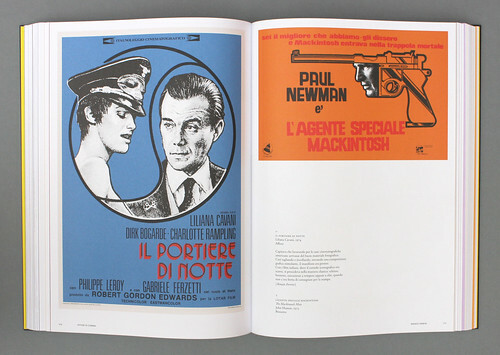 From expressive sketches through to refined graphic posters, the images cover the past 50 years of Italian cinema. Pittori Di Cinema cover, featuring detail of Sandro Symeoni’s poster for the giallo film L’Occhio Nel Labirito (1972). 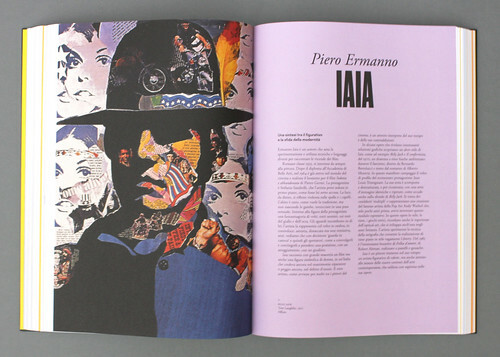 Chapter opener featuring poster image for Billy Jack (1971) by Piero Ermanno Iaia. 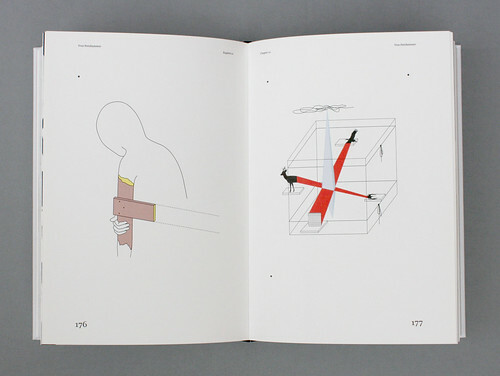 Spread showing posters by Renato Ferrini, 1974 and 1973. AGI New Members 2007-2017 (€79) is an eccentric publication designed and produced by Hesign. 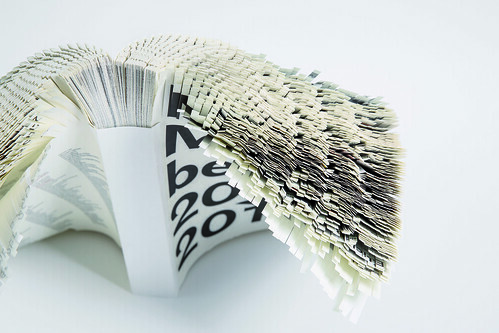 Predating Banksy’s artful use of partial shredding (in a crowded auction house), designer Jianping He decided to shred the top six centimetres of each page, resulting in a mysterious volume that doesn’t sit easily on a bookshelf with other design books, and defies conventional reading. Its 694 pages detail the works and lives of the 232 new members who have joined AGI (Alliance Graphique International) over that eleven-year period. AGI New Members 2007-2017 in its slipcase.